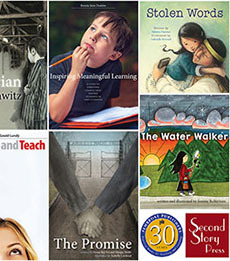 We want to invite you to join us, along with a host of amazing authors and educators, at our upcoming workshop on Wednesday, May 1 at the Novotel North York hotel. This FREE workshop explores community, equity, creating a welcoming classroom space, and much more. You won’t want to miss this opportunity to improve teaching and learning for your students—register now, by phone at 1-800-997-9807, or by email to alison@pembrokepublishers.com. Click here to check out the full schedule for this fantastic day! 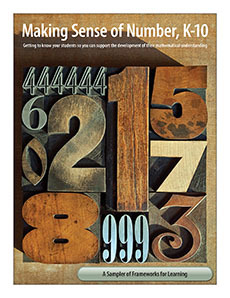 Making Sense of Number shows you how to notice, interpret, confirm, and respond to student thinking. It offers an effective approach to finding out what your students already know so that you can structure learning experiences that help them make sense of number. 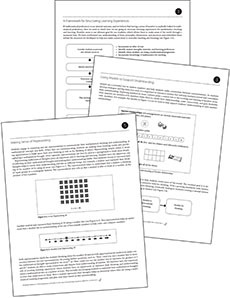 To help you and your students on the journey to expanded thinking and deeper learning, download this sampler of learning frameworks and start changing the face of math and numeracy in your classroom today! Fostering Mindfulness is the guide to self-regulation, stress management, learning, and wellness that you've always needed! Simple activities and practices throughout the book are designed to strengthen areas of the brain that allow students to better manage their attention, emotions, and behavior in the classroom and beyond. 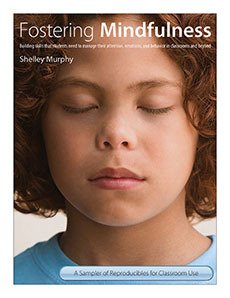 To help you see how mindfulness can change life in the classroom for you and your students, download this sampler of activities from the book, and begin your journey. Click here to download the sampler, and get started today! 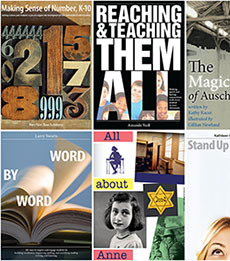 Are you wondering what Larry Swartz' Word by Word has to offer you and your students? Why not try an activity from the book, and see how your students become engaged with and excited about words and language! Any discussion about words in the 21st century needs to highlight the use of text messaging or texting, an informal, efficient, and highly popular way of electronically communicating messages where brevity is expected and accepted. Youth and adults alike use text messages for personal, family, business, and social purposes and it has become an accepted part of many cultures. New forms of interaction that were not possible before are now made possible with the advent of text messaging. People can carry out conversations with others without the constraints of an expected reply within a short amount of time and without needing to set time aside to engage in conversation. Drawing attention to text messaging in the classroom can help students understand how this mode of communication is positive and helpful or negative and challenging to our understanding of words and how we communicate. Have students work alone or with a partner to complete the gr8 Texting Words test to check their knowledge of text messaging abbreviations. 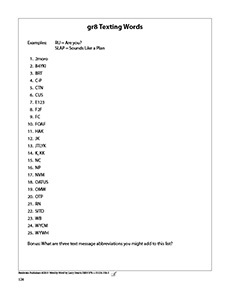 Click here to download the gr8 Texting Words test. While Word by Word is our Book of the Month, you can find the answers to the test on page 117! 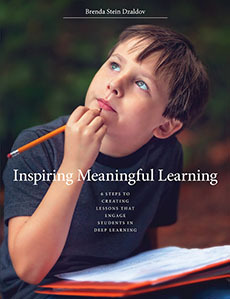 Inspiring Meaningful Learning, the essential new guide from Brenda Stein Dzaldov, offers six key steps to planning lessons that grab the attention of students and engage them in impactful learning. 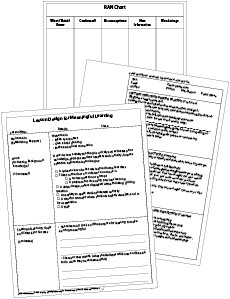 We are offering you the amazing opportunity to try Brenda's lesson design with this sampler of reproducible pages right from the book that will take you through the six steps and let you see these ideas in action! Pembroke has put together three specialized catalogues, to make it even easier to find the right book for you. Whether you're looking for something new in language arts, a boost in math, or hands-on tools for professional development, we've got something for you! 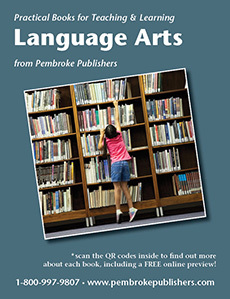 Click here for the Language Arts catalogue. 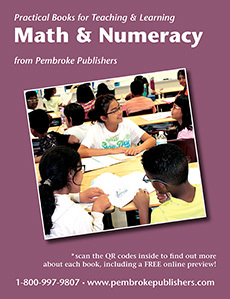 Click here for the Math & Numeracy catalogue. 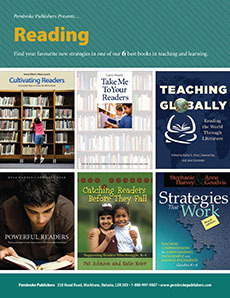 Click here for our Tips & Tools catalogue, including 3 reproducibles you can use in your classroom today! 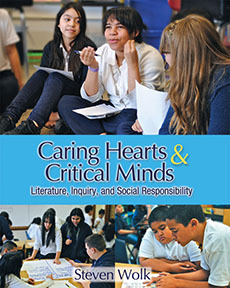 Regie Routman's newest book shows you how to ensure that every student in your classroom is engaged each day in meaningful, challenging, and joyful learning. 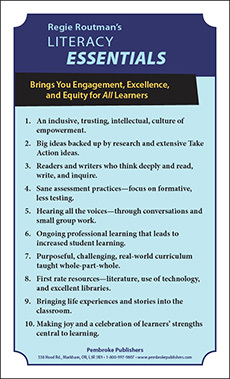 This mini-poster (8.5" x 14") gives you 10 things to remember when building a classroom culture based on trust, collaboration, and celebration. Click here to download the poster for your own classroom! 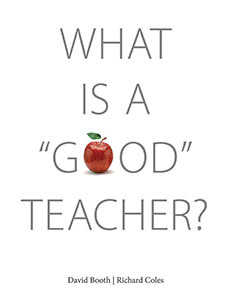 Co-authors David Booth and Richard Coles discuss teaching and learning in today's classrooms. Hear their views on building a classroom community of engaged students, professional development and lifelong learning, and much more in this chatty sit-down. 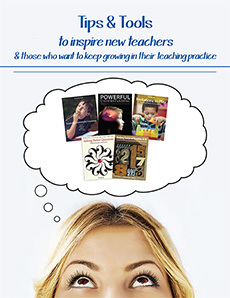 Find out more about their newest book, and start on your journey to becoming the best teacher you can be! Click here to tune in to the conversation! Find out more about this remarkable resource in this peer review in the Fall 2017 issue of Green Teacher Magazine. Click here to check out the review. Stumped by the demands of social-emotional challenges? 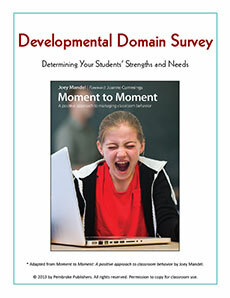 This helpful survey, adapted from Joey Mandel's Moment to Moment, takes you through five developmental domains, helping you identify each student's strengths and needs, and how you can best begin to help them. Nobel Prize Winner, Alice Munro! 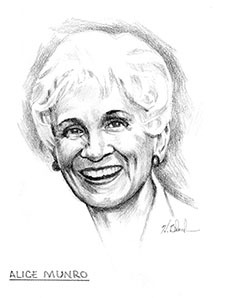 Would you like your students to know more about Canadian Nobel Prize winner, Alice Munro? Download this lovely portrait and thoughtful biography, created by noted chronicler, Harry Black. Alice's story was written as a companion piece to the fascinating biographical exploration, Canada and the Nobel Prize. Within the pages of this beautifully illustrated and fascinating book, any student will find a story that intrigues and inspires among the lives of these accomplished and innovative Canadians. Are you seaching for creative ways to make spelling and language study fun and interesting for your students? 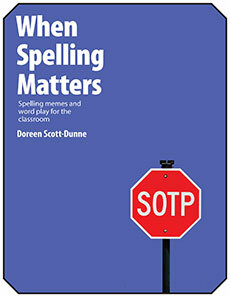 Check out these spelling and word play challenges from Doreen Scott-Dunne! These intriguing exercises are sure to make students think more carefully about the words they see and use (and spell!) every day. Click here to download the "Spelling Memes" package. Are you a digital principal? Or do you need tips on creating a school culture that embraces and encourages the use of technology to enhance student learning? This thoughtful article from Principal Connections magazine, written by Janette Hughes and Anne Burke, authors of The Digital Principal, offers hands-on ways to model and promote the use of technology in your school. Become active in your school's innovation!